2018 is an exciting time…plenty of new photo gear to try out. 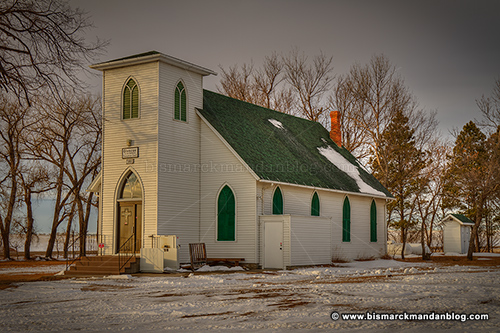 So I took a little time Friday afternoon to visit a church nearby that I hadn’t stopped to investigate before: the Glencoe Sloan church, southeast of Bismarck-Mandan on Highway 1804. 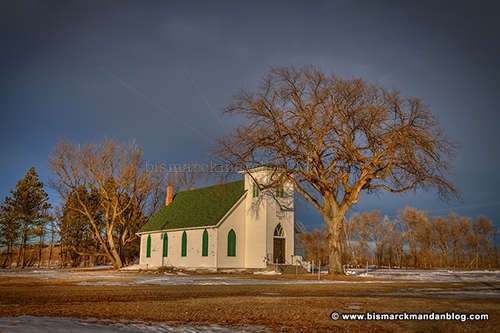 I had a good photography year last year, and one thing I did (but didn’t post on the ol’ Blog) was to chase down many old prairie churches. Some were abandoned, some were almost wreckage, but all were beautiful in their own way. I hope to work on a calendar or some other project featuring these churches, but I still have a few I’d like to add. On my travel budget, that might have to wait for a bit. But you’ll see them, I can assure you. This entry was posted in Around Bismarck-Mandan by Clint. Bookmark the permalink.